Learn drumming basics in this fun, quick starting class. After covering basic techniques we will learn a few sample rhythms from around the middle east. While this class is geared for the musical beginner, people of all levels of ability are welcome and encouraged to attend. 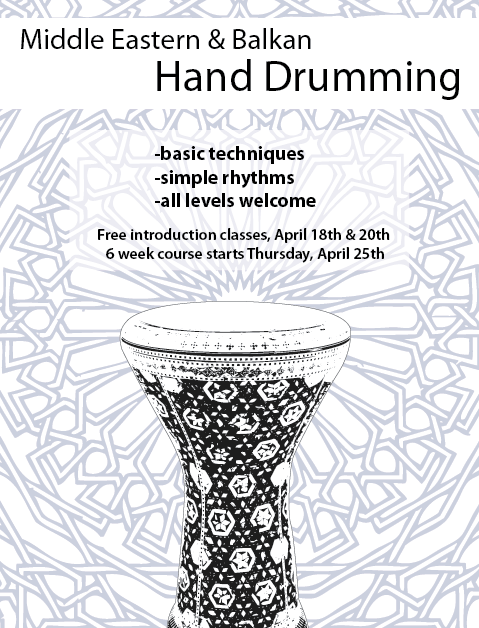 A Middle Eastern Doumbek is the best drum for this class but any drum will suffice. Extra drums available for those without instruments. Note taking and recording is welcomed and encouraged. No one turned away for lack of funds. Everyone is welcome to learn!